The Apple Blossom Festival is celebrating its 100th Anniversary in 2019 and producing a documentary “A Lot Of Fuss About A Parade” presented by Stemilt Growers as way to honor this remarkable milestone. Wenatchee’s own North 40 Productions is responsible for production of the feature film. The documentary “A Lot Of Fuss About A Parade” follows the 2018 Apple Blossom royalty selection process as well as the events of 2018 Festival. It provides the opportunity to conduct extensive research into the Wenatchee Valley’s history in respect to the Apple Blossom Festival, tracking its evolution from 1920 to present day. Additionally, the film pays tribute to the people who started the festival and all those who have been involved in the last hundred years. We have selected the 2016 Apple Blossom theme! Click below to find a printable version of the entertainment schedule, or visit the Apple Blossom Booth in Memorial Park during the Festival. The purpose of the Chief for a Day program is to create partners between local, state, and federal law enforcement agencies, hospitals, and the community to provide a day of special attention to chronically ill children. Each child is selected and sponsored by a law enforcement agency. These children or “little chiefs” are provided with law enforcement uniforms matching their sponsoring agencies, including badges and are honorary sworn into office for a day. Join us EVERYDAY of the Festival in the Blossom & Brews Beer Garden for great drinks and music from the Gesa Entertainment Stage in Memorial Park. You can also grab a bite to eat and bring it with you to enjoy your beverage from one of the many food vendors also located in Memorial Park! 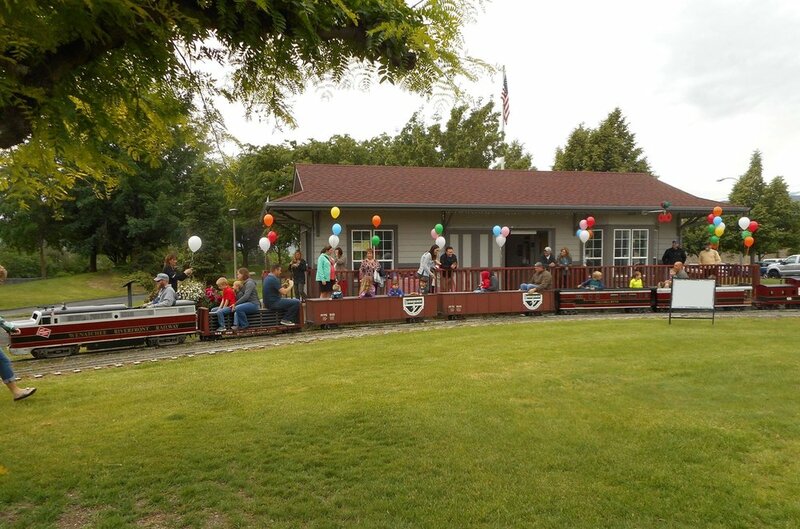 Wenatchee Riverfront Railway will be running the weekends of Apple Blossom and kids of ALL ages are welcome to ride the 10 inch gauge train. The course winds through a figure-8 layout of bridges, trestles and trails along the Columbia River just south of the carnival. Tickets are $2 per ride and may be purchased at the Pear-a-Dise Station. Train rides are held “weather permitting.” Parking is available at 155 North Worthen Street. Call (509) 663-2900 or (509) 860-3176 for more information! An entertaining choral event featuring folk tunes, madrigals, stage pieces and classical works by well-known composers from England, Ireland and Scotland. A wide variety of music, from the Renaissance to the modern day, will tickle your ear bones and leave your Irish eyes smiling! Event Date: April 26th @ 7:30 p.m. This is an annual early spring show of Corvettes only. This year is our 8th annual show, with corvettes coming from all over the northwest. Our show provides a donation each year to the Humane Society. Location: Rocky Reach Dam Park, Highway 97A North. Free and open to the public. Corvette owners may register upon arrival. Two Rivers Medieval Faire, formerly The Wenatchee Renaissance Fair is on Saturday April 27th from 10:00 a.m.- 6:00 p.m. and Sunday April 28th from 10:00 a.m. - 4:00 p.m.
“Come back in time to Medieval Ireland. Watch Knights jousting, meet Lords & Ladies and talk to Ogres & Fairies. Shop for unique wares, but watch out for Pirates! Enjoy Minstrels, storytellers, relax at the Green Dragon Tavern and feast at the Food Court. Activities and entertainment for all ages. Festival. Great performances and activities from over 40 local vendors. just for kids! 2018 Youth Day Booth Participants. Dates/Times: May 1, 2, 4, 8 & 11 at 7:30, May 5 at 4:00 p.m. and May 11 at 2:00 p.m.
Music Theatre of Wenatchee and the Numerica Performing Arts Center presents Newsies as this year's Apple Blossom Festival musical. Based on the 1992 motion picture and inspired by a true story of the real-life Newsboy Strike of 1899, the Disney musical Newsies tells the story of how the New York newsboys, lead by Jack Kelly, rally together to strike against the unfair work conditions of the publishers. Newsies features a Tony Award-winning score, featuring the now classic songs “Carrying the Banner,” “Seize the Day,” and “Santa Fe,” Newsies is packed with non-stop thrills and a timeless message, perfect for the whole family and every audience. The Tour de Bloom Stage Race is a three-day cycling event being held May 3-5, 2019 in the Wenatchee Valley. Organized by the Wenatchee Valley Velo Club, Tour de Bloom features a Plain road race on Friday, a hill climb from Squilchuck State Park to the Mission Ridge Ski Area on Saturday's Tour de Bloom twilight criterium in historic downtown Wenatchee on Saturday afternoon and evening, and a road race among the rolling wheat fields near Waterville in adjacent Douglas County on Sunday. The event is USA Cycling-certified. Tour de Bloom is held during Wenatchee’s famous Apple Blossom Festival. Please vistit: http://www.wenatcheevalleyvelo.com for more information or registration! The Classy Chassis Parade and Car Show is a City of East Wenatchee Event. Mark your calendars for the 28th annual Apple Blossom Run, sponsored by Confluence Health and Ballard Ambulance! While our 2.1K (Kid's Race), 5K and 10K Runs, and 5K Walk, are all about having fun, we also focus on promoting a healthy lifestyle. More than half of our participants are first-time 5K runners and the event is centered around improving health and wellness in our communities. We hope that the Apple Blossom Run will act as a catalyst for our participants to live an active, healthy lifestyle. May 3: 8 am to 8 pm - Pre-registration packet pickup in the lobby outside the Walk-in Clinic at 820 North Chelan Ave.
Join the Wenatchee Red Apple Flyers for flying demonstrations throughout the weekend showcasing R/C Aircraft of all types & sizes! Tickets: No tickets needed, open to the public. The cannon sounds promptly at 11:00 am on Saturday, May 4 to announce the Stemilt Growers 100th Washington State Apple Blossom Festival Grand Parade. Leading off the parade is the traditional Apple Blossom Run, as well as the daredevil maneuvers of the Seattle Motorcycle Police Drill Team. Bands from throughout the Northwest join with the many colorful floats and proud-stepping equestrian units to make this one of Washington’s grandest parades. **Wenatchee & Eastmont do not participate in awards as the hosts. Drum major score is not included in band scores. Rugrat Nation 3 on 3 basketball tournament is specifically for boys and girls grades K through 3rd grade. 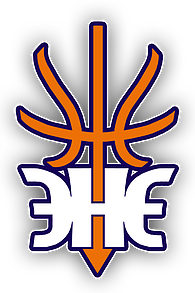 Play begins right after the Grand Parade on Saturday, May 4 starting at 2:00 p.m. Co-ed divisions are k-1st and 2nd-3rd. Rugrat Nation is held in the east (river and Loop Trail side) parking lot of Pybus Market with shade for spectators and plenty of seating and excellent food. Admission is free to the general public. Rugrat Nation is a nonprofit scholarship foundation with all proceeds going toward scholarships for local student athletes. Event Location: Pybus Public Market 3 N Worthen St. Since the initial celebration in 1920, the Apple Blossom Festival has produced some beautiful, entertaining and amusing artifacts, thousands of which are now a part of the Wenatchee Valley Museum’s Permanent Collection. In celebration of the centennial of the Washington State Apple Blossom Festival this year, the Wenatchee Valley Museum & Cultural Center will be showcasing objects from this collection in our Main Gallery. Blossom Days Remembered invites festival lovers of all ages to learn about the evolution of this iconic festival through the decades with displays of gowns, crowns, and other memorabilia. Art Lovers Sunday is Sunday, May 5 from 10am to 4pm in the concourse at Pybus Market. It is the public’s chance to meet and visit with local artists who are actually practicing their craft. Sure, you can buy something …. but Art Lovers Sunday is really about meeting some of the valleys most talented artists. Listen to artists discuss their work; discover the inspiration behind their art, and take this opportunity to ask questions. Explore and handle the tools and materials our local artists use to create their work and view demonstration that reveal step-by-step processes. Admission is free to the general public. Washington State Apple Blossom Festival's 2019 Limited Edition Art Print Reception Honoring Artist Marti Lyttle. The Reception will be at the Jones Tasting Room inside Pybus Market. Art Prints will be available for purchase ($35) with personalization. Mark your calendar's for Apple Blossom Festival's largest fundraiser and a Wicked Good Time. We are celebrating our 100th Festival this year and are pulling out all the stops! Tickets are $50ea. or a Table of 10 for $500. Saturday, October 27th at 6:00 pm in the Wenatchee Center Grand Ballroom * Full Buffet Dinner * No Host Bar * Hosted Beer thanks to Odom Corp. 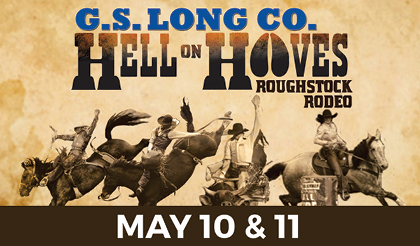 The nations largest group ride returns to Wenatchee! Join your fellow community members and ride Saddlerock to Saddlerock as you learn more about commuting options, the Wenatchee Valley Bicycle Master Plan, local businesses and more. Starting and finishing at Saddlerock Pub and Brewery, participants will be given a goodie-filled swag bag AND a $5 off the Wenatchee Pizza during the post-ride celebration. We can’t wait to see you there! 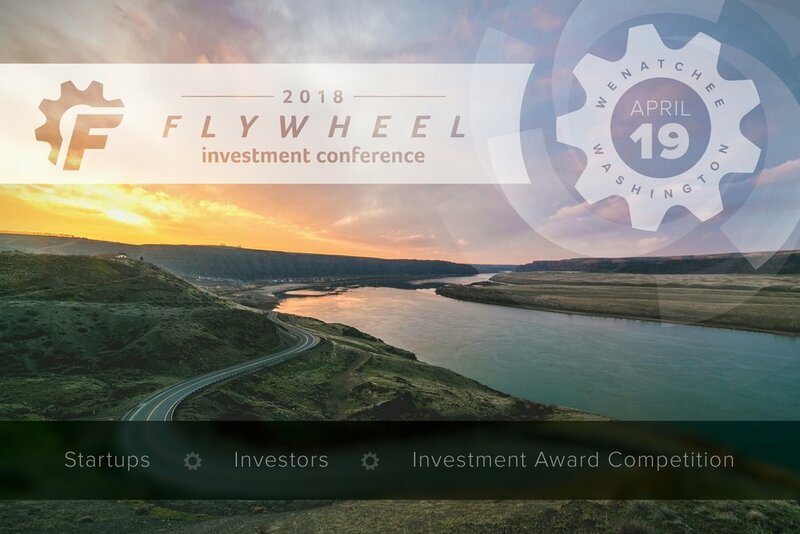 At the Flywheel Investment Conference, entrepreneurs, investors, and community members come together to cultivate momentum for growing companies. The conference is a full-day event and includes educational seminars, speaker panels, an investment competition, and resources from professional service providers. During the conference, Howard Wright, chairman and founder of Seattle Hospitality Group, and Diane Fraiman, partner at Voyager Capital, will be featured in an exclusive “fireside chat”. These leaders from their respective fields will engage in a dynamic conversation on how communities in the Pacific Northwest have driven community investment and engagement to support growing companies. In addition to hearing from Mr. Wright and Ms. Fraiman, attendees will have the chance to hear and connect with leaders in entrepreneurship and technology from across the PNW. Another highlight of the conference is the company competition, where 6-8 Washington companies will pitch and compete for a $100k investment award. The public is invited to attend this full-day event to learn, connect, and get inspired. Information will be sent via-mail to all 5th grade girls in the Wenatchee & E. Wenatchee public school districts. There will also be forms available at each school including all private schools and here on our web-site by January 19, 2018.